"I Need To Sell My House"
Is this your situation? We can help. We are CASH home buyers and we buy houses in various cities across America. We will buy your house in any condition, even if it needs major repairs to the foundation, plumbing, roof, or HVAC system. And we will make the transaction as hassle-free as possible. And we know there are a number of possible reasons you may want to sell your house. Dr Cash Home Buyers can help you with your real estate sale and help you move forward with your life. 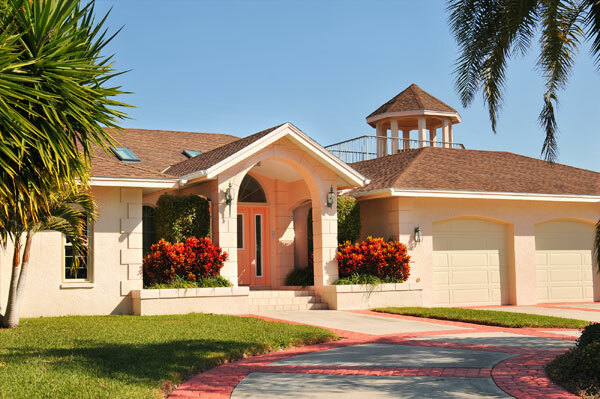 There are a number of important advantages when selling to Dr Cash Home Buyers. Below we discuss some of these advantages and how they could positively impact you and your house sale. In most cases we use 100% cash to buy your house. It makes the whole process faster and simpler. Cash is used to pay off all loans and liens on the house, which in most cases is a single mortgage loan. When the lender(s) is paid in full they no longer can make any demands, such as loan qualification or requiring a survey. We have seen your house, made an offer, and are prepared to close as soon as the title policy is prepared. We will do ALL of the repairs - and they require time and money. You will NOT be required to make repairs. We will buy your real estate property in "as-is" condition - any condition - and assume the responsibility for all of the repairs. When we visited your house we did our own inspection and make our estimates for repairs. We are real estate investors and our estimates are usually within 5% of the final repair figure. Sometimes we are surprised by hidden damage, such as termite damage, but we assume this risk, not you. There is usually at least one "hassle" in every real estate transaction but it is our job to find an answer. Once we have an agreement to purchase your house we will handle the details, and there are quite a few. There are loan documents and lender payoffs, liens to be researched, taxes and HOA fees to be prorated, surveys, documents to be created, work crews to schedule, and much more. However, your main job as the house seller is to sign the documents at closing and leave with your cashier's check (Cash). Remember, you are NOT dealing with realtors or a retail sale. There will be NO house showings with retail "mom and pop" buyers. NO need to clean or repair. No hassles. There are NO Fees and NO Realtor Commissions involved in our agreement. We are real estate investors and we are not representing you or any other person in this transaction. There is absolutely no obligation on your part for a house visit. We will talk, inspect the house, and make you an offer during that visit. Should we agree on the price then the only other major term to discuss is the closing date. We may be repeating ourselves, but you are under no obligation when we visit your house. We will make you a 100% Cash offer. There are No fees, No realtor commissions. We keep it simple. Yes, we can close the sale of your house fast. How fast? Sometimes in just a few days. Continue reading about How To Sell Your Home.